Shimmy - Shammy - Sham Wow! Bought this to go with the new ball and I'll never use another shammy again. 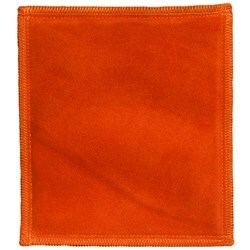 I watched other players use a shammy to wipe down there ball before each shot but for 7 years I stuck to my tired and true microfiber towel. After getting the shammy I compared how each cleaned the ball, shammy won hands down. I couldn't believe the difference. Like my other post, not sure if it's the shammy, compression sleeze, ball or combination but over the past 3 weeks my average has gone up 20 pins. When do u expected these and the Hammer gloves in? Hey Fathertime! This item should be in stock any time now. Hello! 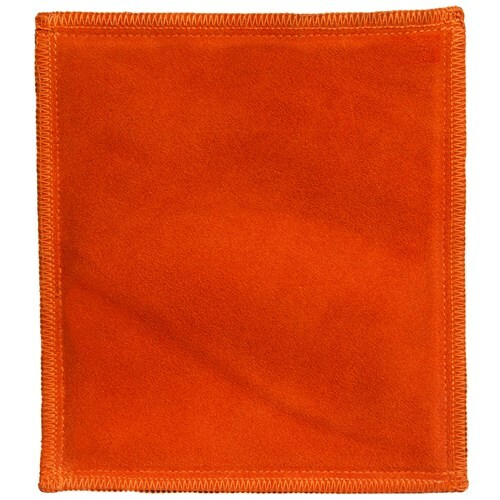 We recommend hand washing this in cold water. Hello! This shammy has two sides. We recommend using the leather material side for just wiping oil off of your ball and if you want using the other side for cleaning if you wish to use a cleaner or polish. You can use either laundry detergent soap or dawn dish soap. Hi is it safe to clean ur ball with shammy and ball cleaner? 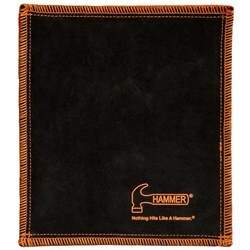 Due to the time it takes to produce the Hammer Shammy Pad Black/Orange ball it will ship in immediately. We cannot ship this ball outside the United States.